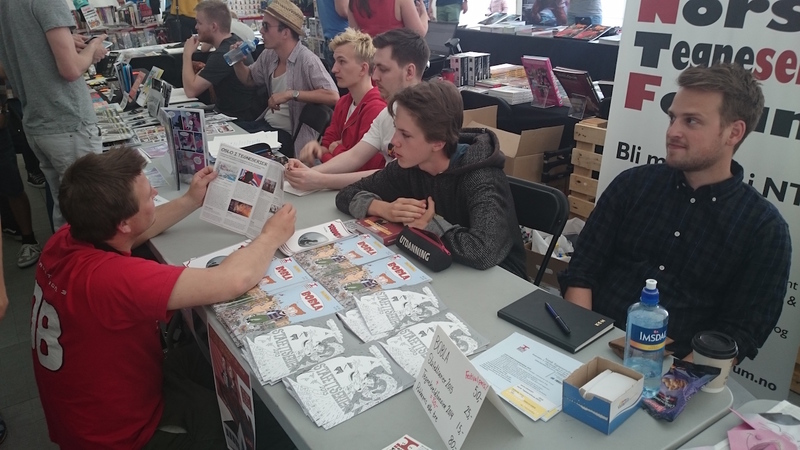 From 11th to 13th of June 2015, Oslo Comic Expo (OCX) was held. 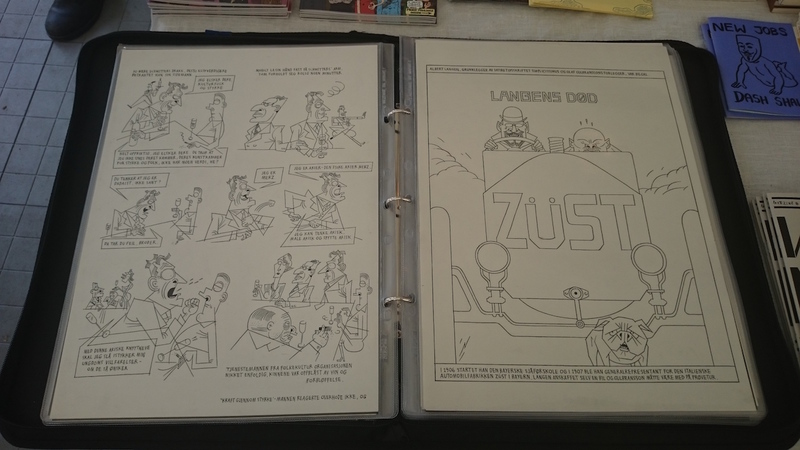 Many international comic drawers came, but Strekinstinkt crew which FXmedia (company that have created Distrita) have made website for was also there. Once they have more English comic strips ready, then a English version of the site will be launched! 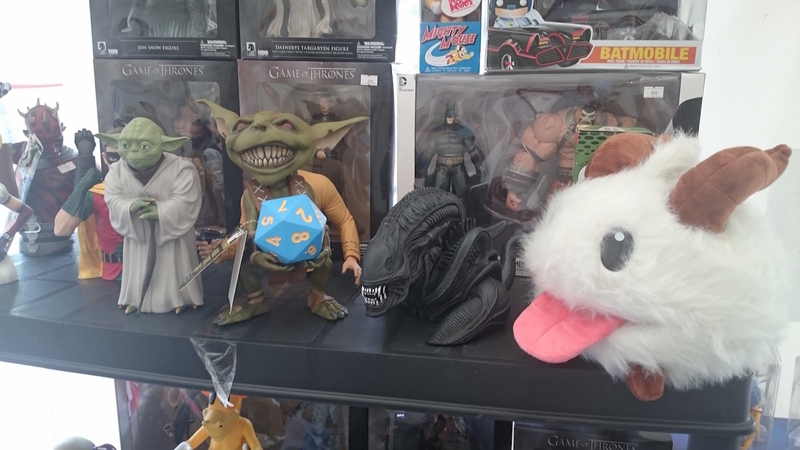 The expo was quite crowded on Saturday when I visited the fair and I like to share more pictures with you. I must admit that my thoughts went a bit about that Oslo should have many more expos like this in Oslo, Norway. 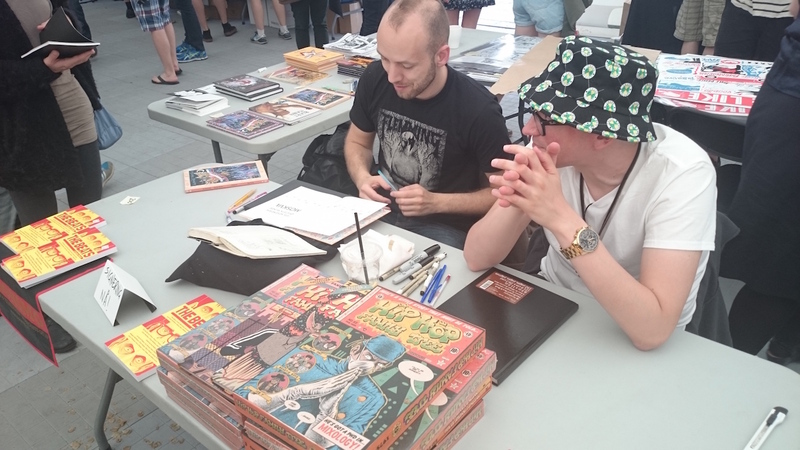 There are so many talented comic artists here, but there was also lots of international comics artists that also came, which showed visitors the seriousness within comic making in the world. 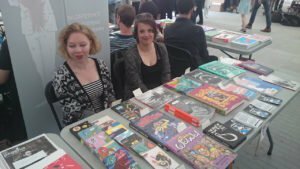 The comics market in USA is totally different, when comparing to our market here. It shouldn’t be like this, but the scene needs all the support that they can get here. When walking to comic shops here in Oslo, there are so many titles to choose from which are imported. 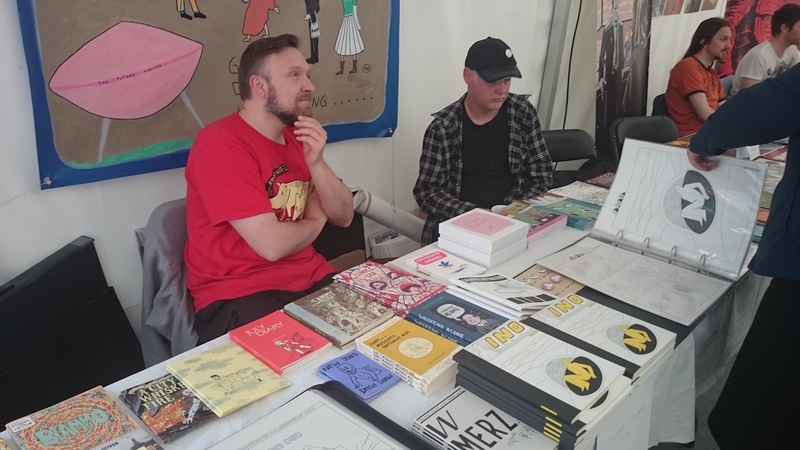 The Norwegian market is quite thin compared though, and people dont really know that there are Norwegian comic makers, so an event like this is a very welcome many thinks. 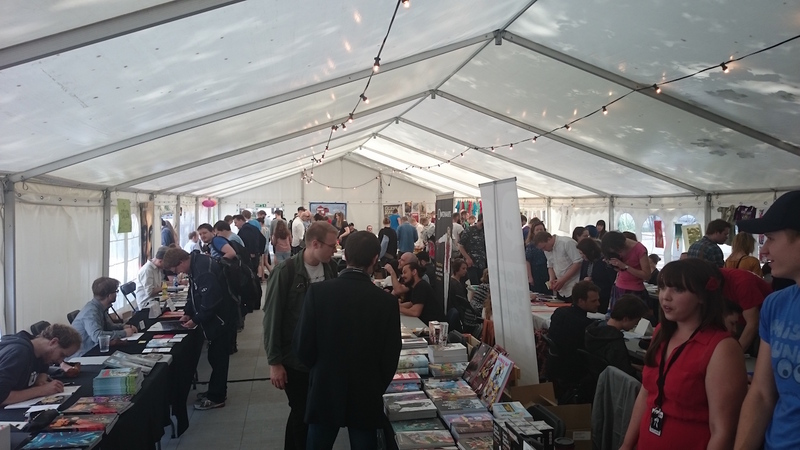 It is however very nice to see that the Comic Expo tent was fully packed with people. They also put the event in Grünnerløkka in Oslo, which is a quite fashionable district of Oslo center. 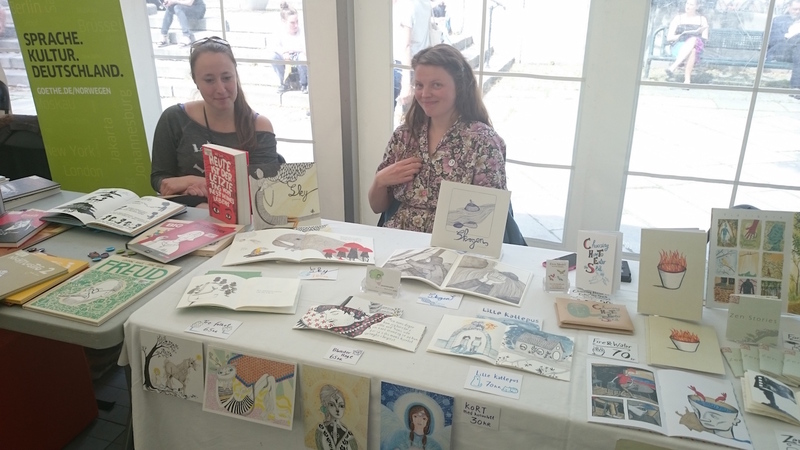 Together with other street shopping markets, Oslo Comic Expo got lots of help from it and also a sunny weather with temps around 21C, the event got quite popular. Lots of people. Maybe a little to small place!? Maybe OCX will be bigger next year? Hope for comeback next year! 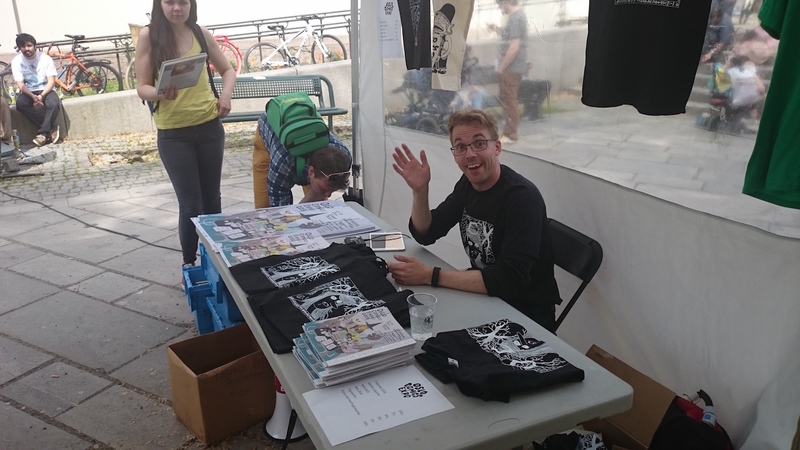 The OCX event showed that there are lots of comics interest in Oslo, Norway. I talked to many coming saying that this was one of the better comics fairs that they have been to. One person which I talked to just outside of the tent, came from Chicago in USA even and he could tell me that he loved this event, though he complained about the long days in Oslo.